New S.T. Dupont Limited Release There is news in the smoking industry. Lighters Direct is known as the world’s premier online shopping center for consumers looking for lighters and cigar accessories. As of today, the establishment is adding a new treat to its collection, aptly named the S.T. Dupont Black Limited Edition Ligne 2 Lighters. It is roughly following the design and model of the S.T. Dupont Phoenix Prestige Limited Edition Ligne 2, although the new line is better in terms of its enhanced finishes. 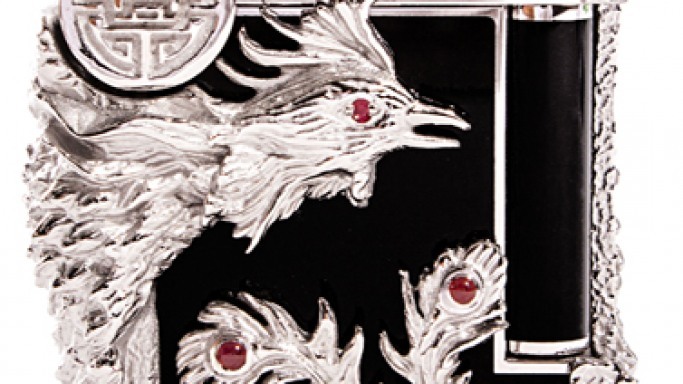 The Phoenix Black lighter is decorated with Chinese lacquer, white bronze patina and embedded rubies. With only 12 Ligne 2 lighters made with this distinguished finish, these products are rare indeed. All 12 products are available exclusively at Lighters Direct. The Phoenix Black lighter is priced at $16, 500. New S.T. Dupont Limited Release There is news in the smoking industry. Lighters Direct is known as the world’s premier online shopping center for consumers looking for lighters and cigar accessories. As of today, the establishment is adding a new treat to its collection, aptly named the S.T. Dupont Black Limited Edition Ligne 2 Lighters. It roughly follows the design and model of the S.T. Dupont Phoenix Prestige Limited Edition Ligne 2, although the new line is better in terms of its enhanced finishes. The Phoenix Black lighter is decorated with Chinese lacquer, white bronze patina and embedded rubies. With only 12 Ligne 2 lighters made with this distinguished finish, these products are rare indeed. All 12 products are available exclusively at Lighters Direct. The Phoenix Black lighter is priced at $16, 500. What is Lighters Direct? Recognized as an authorized dealer of products found on its website, the company has the products made in France. Each lighter is made with roll bar flint ignition, a very accessible flame adjuster, not to mention a double burner that works for cigar lighting. Carefully wrapped in a special S.T. Dupont gift box, the lighters are the ideal present for anyone who enjoys a good smoke. Now celebrating its 10th year of existence, Lighters Direct is an online lighter and cigar accessory company, which also offers Zippo lighters, pipe accessories and even outdoor lighters. Most lighters are fashionably designed, such as a train-themed lighter, or a silver snake. The rubies are usually taken as the eyes of birds or snakes featured on numerous lighters. Lighters Direct deals with brands such as Black Label, Blazer, Cartier and Boveda. Thanks to its invaluable customer service, all products are sold from the website with a 30-day money-back guarantee policy. $10 Million Human Regenerator: a Small Price to Stop Ageing!